My sweet little boy headed off to kindergarten today and it just breaks my heart. I am super excited for him to be going off on to this great new adventure but, I miss him terribly. 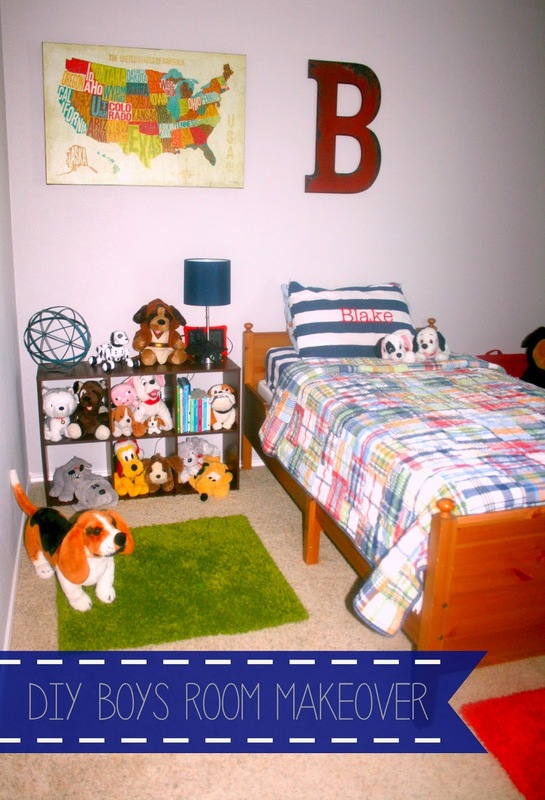 When he turned five this past February I wanted to give him a more "grown up" bedroom. But, still keeping it young and fun and full of puppies! 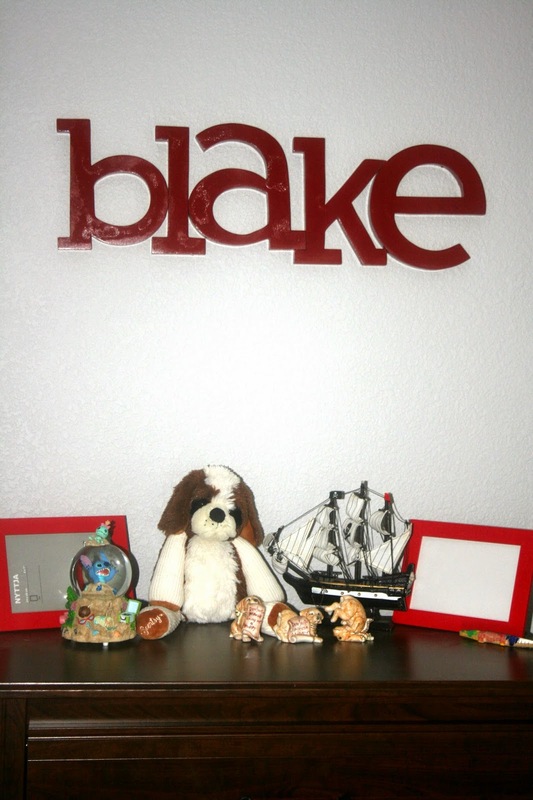 So, we got right to work on updating his room. 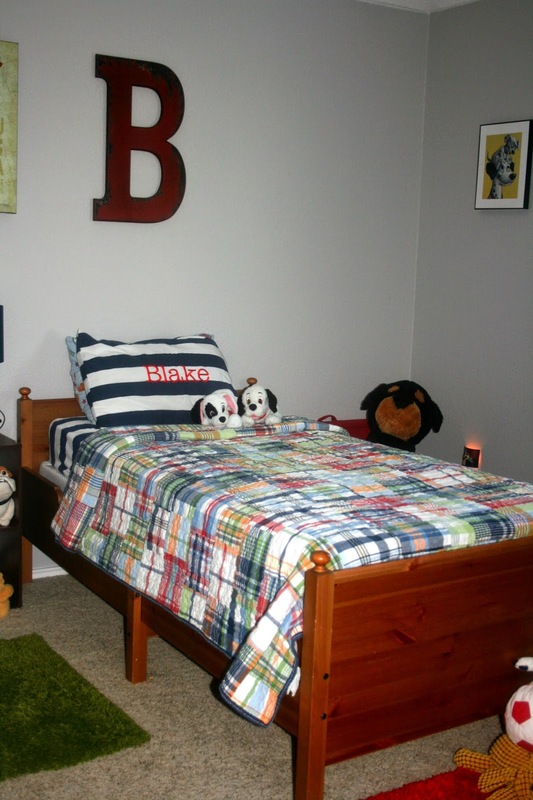 I love his quilt, he has had it for a few years now, it is the Madras quilt from Pottery Barn Kids and I wanted to keep the colors to focus on that and was the inspiration for the room. 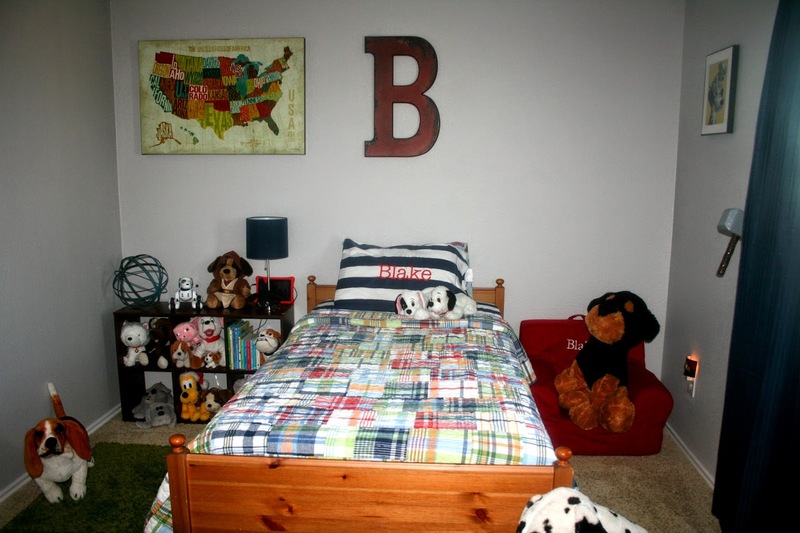 In May I posted the beginning of his new big boy room update. Here are a few pics just in case you forgot. 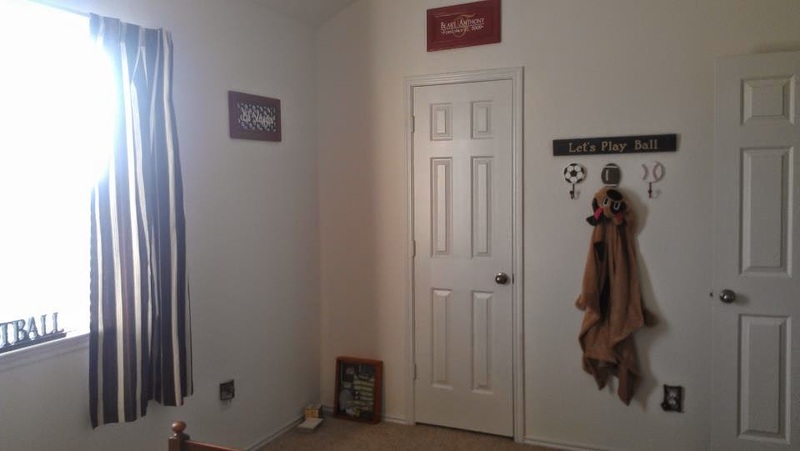 We went with a sports theme for his nursery and I loved the colors and style we had for his room and even for his toddler room. 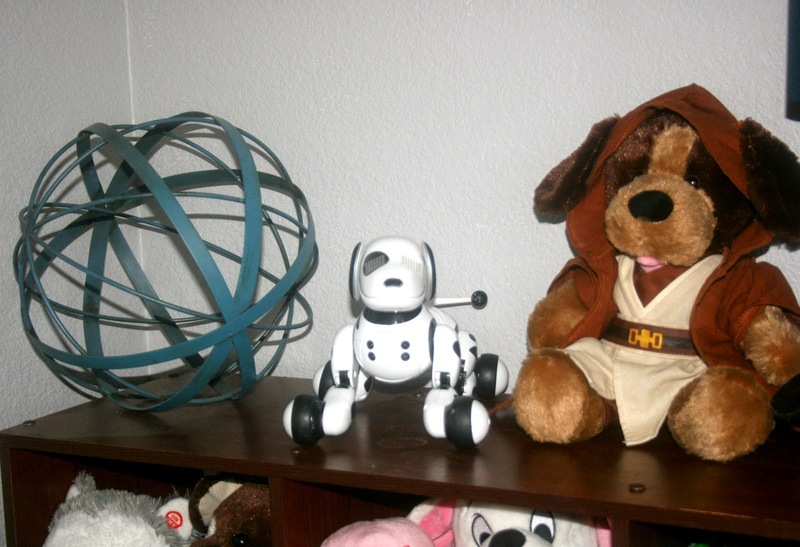 But, now that he is 5 years old we wanted something a little older for him but, still sweet and fun. 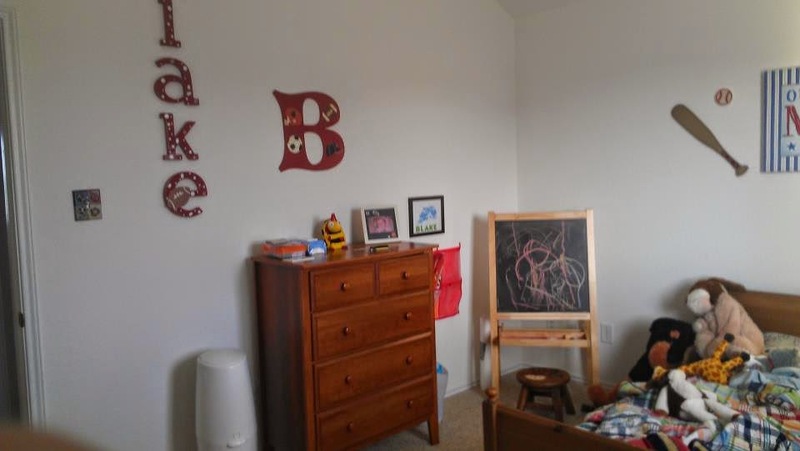 Here is his room just before we updated to his new big boy room. His "before" pics! 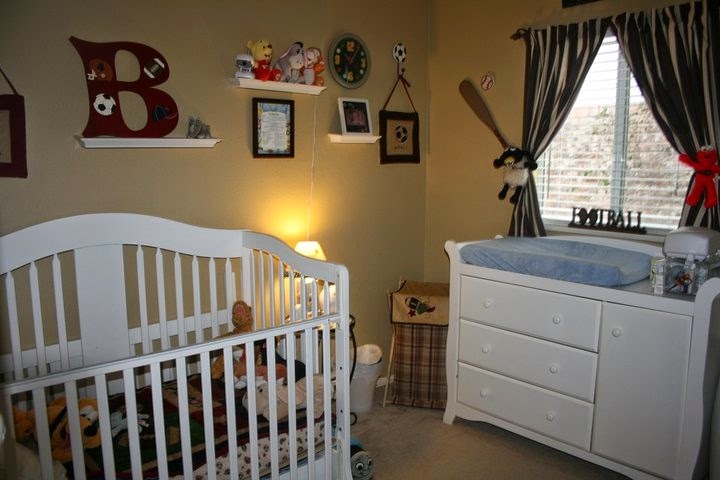 Yes, it is 6 months later and we still have not finished up his room! YIKES!!! We will get it done but we want it to be perfect. Maybe we will have it finished up before he turns 6! 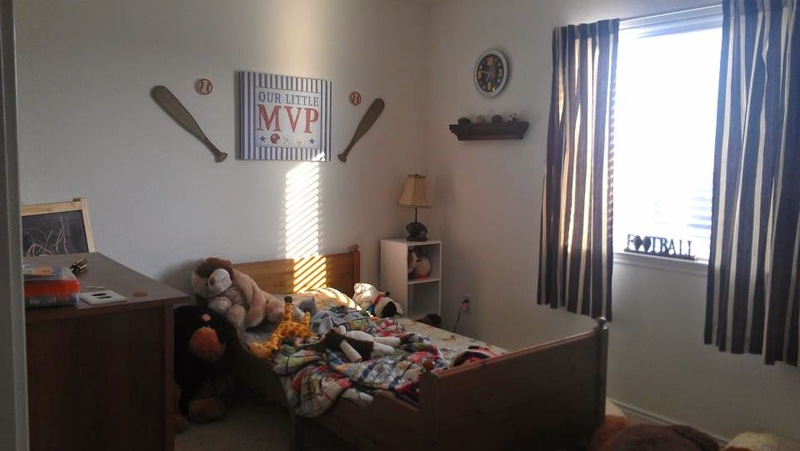 With that being said, here is grand reveal of his new big boy room. So far!! 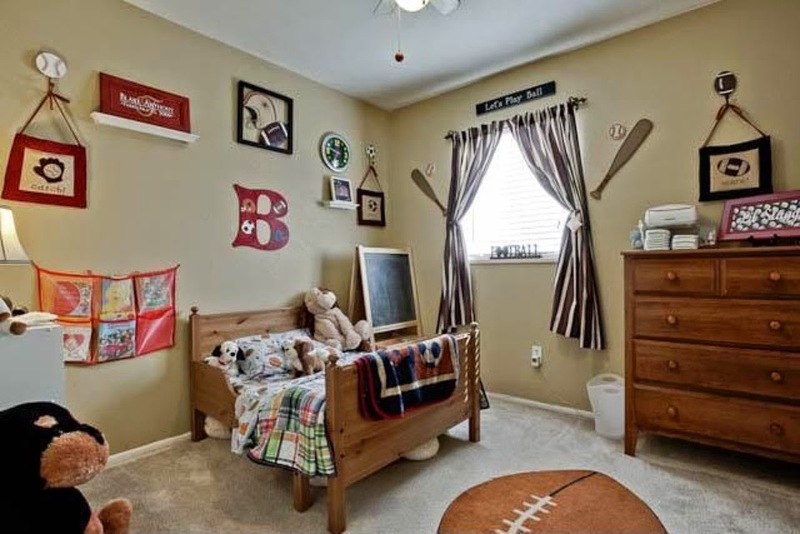 Being on a budget, I knew that we had to cut costs when updating his room. Hence the fact we are still working on it. ;) We re used what we could and looked for deals and sales when possible. 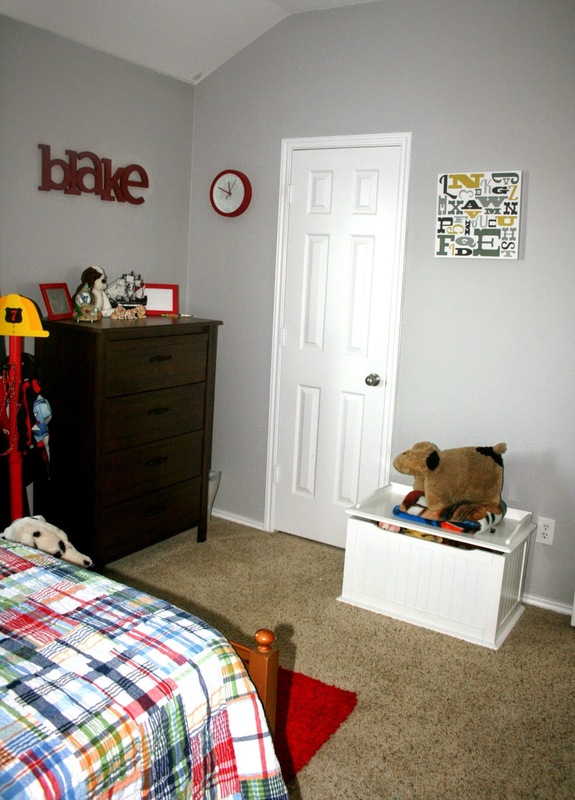 For all the new art work and decor, we found them at Hobby Lobby and Home Goods and got amazing deals on them. 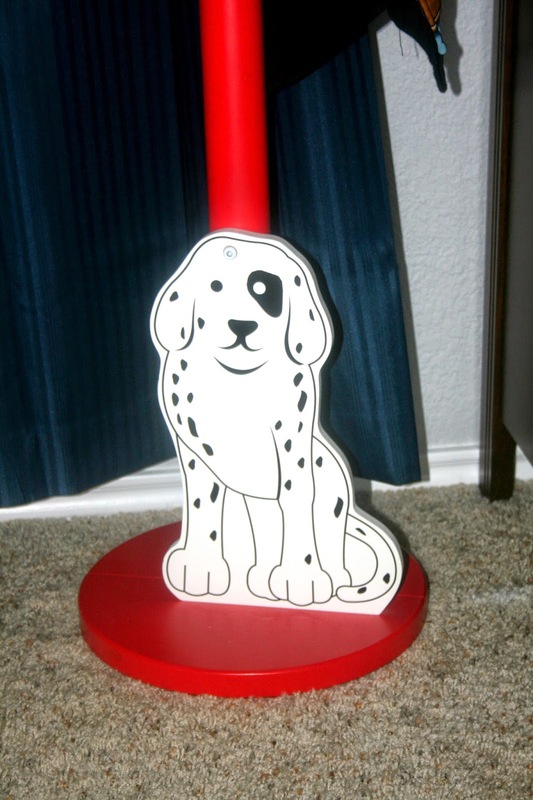 The super cute and perfect Dalmatian coat rack I found on an online neighborhood yard sale site. I got the new curtains for a steal at Target, they were are clearance for $8.00!!! 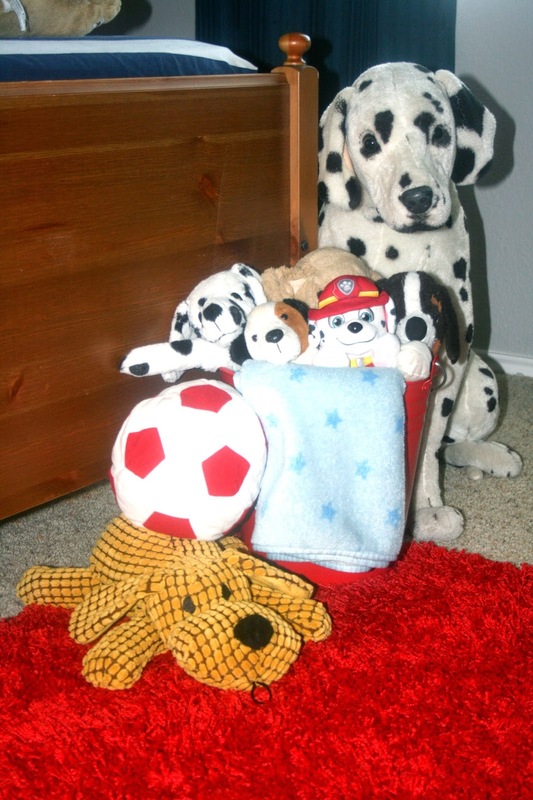 The biggest splurge was on his dresser. We went to IKEA and at only $129 it was still a great deal. I still have some ideas to incorporate and cannot wait to get it finished up. 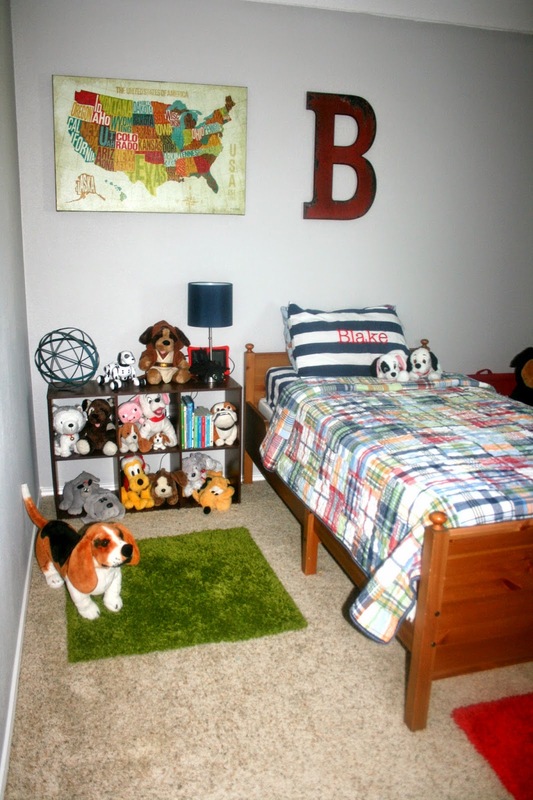 He loves it and loves that his room is full of love and puppies! !